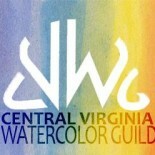 Are you ready to learn new skills in watercolor? Join me in a class or workshop. Attached is the registration form for “Night Scenes in Watercolor”, which will take place near you, in Waynesboro, on March 13. If you can’t make that, I have also attached my other class offerings between now and May. Don’t wait too long to register, as my classes often sell out, with a waiting list. This entry was posted on Feb 19, 2019 by miatomaine in Classes/Workshops, Member news.